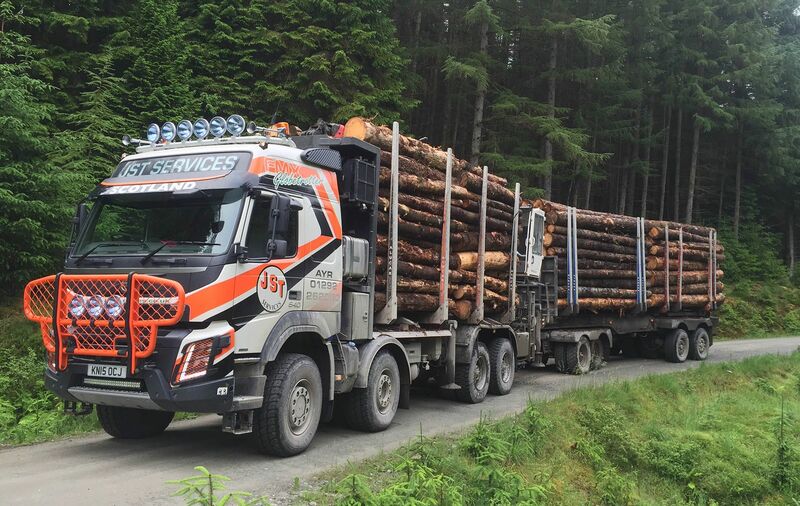 JST Services multiple wheeled Low Ground Pressure Inforest and specialist Site vehicles can massively reduce ground pressure whilst increasing payloads. 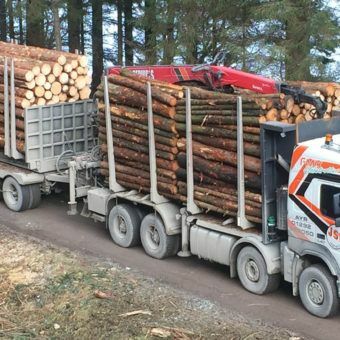 Ever increasing volumes of timber being moved in Britain has resulted in timber being sourced from more inaccessible locations to satisfy demand. 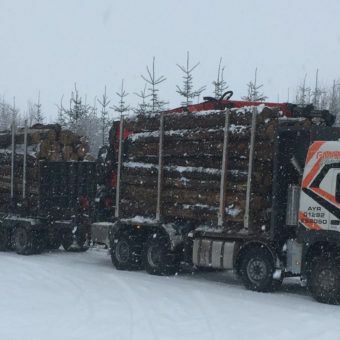 Many of these forests were planted 20-30 years ago, when timber vehicles were smaller and lighter, moving timber to mill in the quantities moved today were never projected. 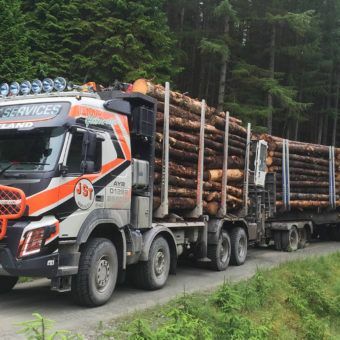 Most modern timber vehicles gross 44 tonnes are primarily designed for hard road use and short journeys into forests, many will have super single wheels which tramline forest roads even over a short number of repeated journeys. On long haul routes, road going trucks can suffer vibration and related damage which results in costly repair bills to maintain to VOSA standards. Traffic intensity caused by large clearfell volumes can create road repair costs to be faced by land owners and Forest Works Managers. 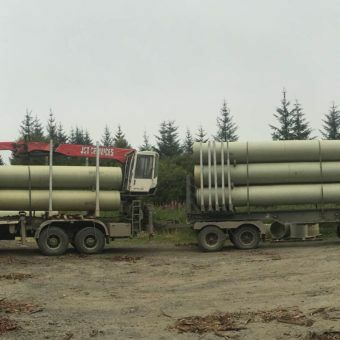 JST Services has worked with manufacturers to develop devised special Low Ground Pressure Vehicles designed specifically to work on “off road” applications and can carry up to 45 tonnes payload of timber. Multiple wheels are strategically placed on the trailers to lower ground pressure to less than half of a conventional vehicle. These vehicles can reduce damage to the forest roads leaving customers with big savings in road budgets.